Canada twice had the Russians on the ropes, and twice the Russians got back into the game, falling just short in a dramatic and tense gold-medal showdown. In a true Cinderella story, Slovakia upset Sweden 4-2 in the bronze medal game. Pavol Skalicky got the third-period winner during a five-minute power play. Canada has booked a date with Russia for the gold medal tomorrow night after defeating a determined Slovak team 5-1 at the Air Canada Centre tonight. 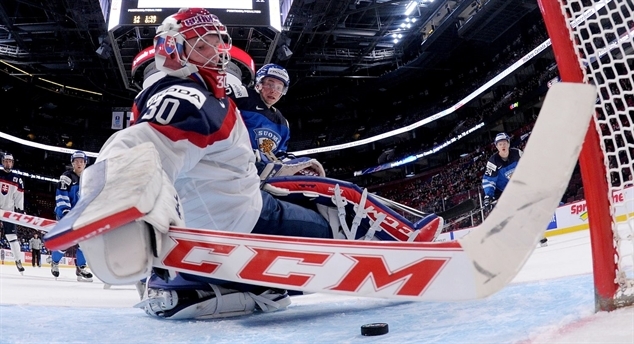 Two goals by Alexander Sharov buoyed the Russians to a 4-1 semi-final win over Sweden. Russia will play the Canada-Slovakia winner for gold on Monday.